Years of hyperbole, conjecture, rumor and myth surround the sessions that took place in the smoky hills of Woodstock in the Spring of 1967. The excitement stirred by the recordings made by Bob Dylan and the Hawks (soon to be the Band) has developed decades of bootlegs, inferior collections and multi-generational pressings of many of the songs cut during these historic sessions. A quick background for those unfamiliar with the tale: About to collapse from the pressure of drugs, touring, fame and the illusion of being a musical martyr, Dylan retreated to Woodstock, NY for a period of contemplation and reflection. After a motorcycle accent the self imposed exile became extended and Dylan was soon joined by his pals in the Hawks who were on retainer from his 1966 world tour. The resultant recordings made from the Spring of 1967 and into early 1968 find the collaborative effort between the men creating some of the most organic, spring water music that has ever been poured over rock. 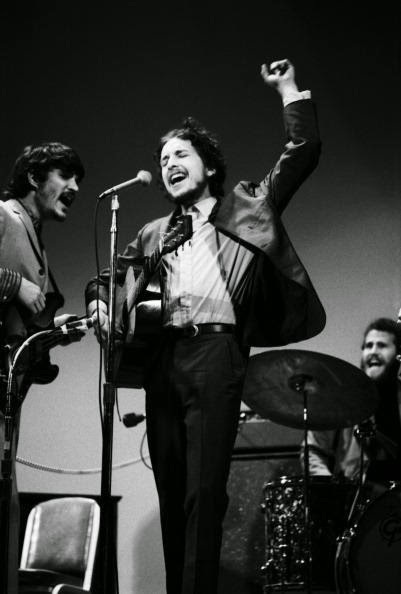 Dylan reached into his back pages to introduce his band to the substantial roots folk, country, haunted Appalachia, sea chanties and field hollers of his consciousness. 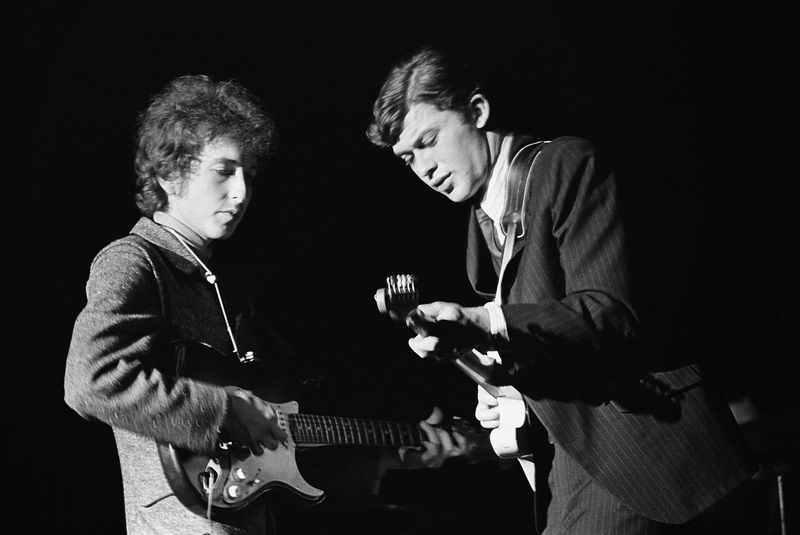 Likewise, his Canadian friends would continue to school Dylan in the funky navigation of R and B and blues played with electric boozy swagger. Many of the original tracks cut during this time were given to other artists, many songs were practiced cover versions played for the joy of musical exploration and dissemination.Countless songs were lost to the passage of time and to undiscriminating hands of band hanger on's. 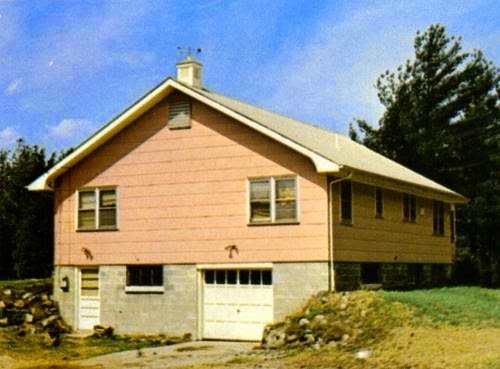 What cannot be denied is that the music created in Dylan's home, Danko's home and in the basement 'Big Pink' is magical and mystical and worthy of further and continuous inspection. The music developed offers ancient melody lines discovered only to be discarded, tales of murder, hookers and theft, songs of salvation hope and foundation, creation distilled to its individual elements. Quirky instrumentation, comic book characters and barroom gossip only a few of the ingredients that make up the diverse landscape of developed and collaborative art. A cornucopia of influence, tradition and inspiration and multifaceted talents running parallel yet still opposing contemporary influence. 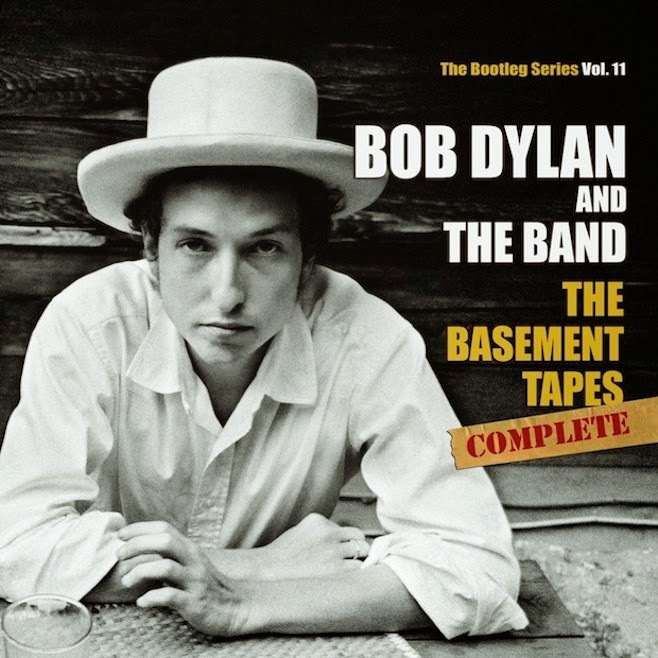 Dylan's ongoing archival release series The Bootleg Series has finally, with the help of Band keyboardist and Basement Tape engeneer Garth Hudson compiled all of the existing recordings from Hudson's own collection as well as other sources into the definitive statement of Basement Tapes. Released in a two disc version labeled 'raw' and the six disc 'Complete' version reviewed here the final word can be stated on these historic and mysterious sessions. In most cases the recordings hail from Hudson's source tapes, there is a detailed explanation in the liner notes about the schematics of sources, tapes, labeling methods and restoration processes. Plainly put this collection puts any of the previously circulating bootlegs or official releases to shame. Even the official 1975 release was subject to sonic tampering and overdubs, while Hudson's original 'wide-Stereo' recordings were often crushed into a dull mono. This collection is definitive, sonically satisfying and very well one of the finest archival released to ever become realized. Now with these updated recordings, the ringing of Manuel's acoustic piano reverberates against the cement walls of the Stoll Road basement, Danko's voice soars in support of Dylan, the wood burns and the grooves churn. Detailed ambiance reveals the performances to be even more enigmatic than once thought. The set follows the arc of a circle chronologically due to Hudson's foresight of a detailed labeling system. By midway through the set the listener can feel the groups confidence grow, the originals blossom into poignant statements and The Hawks start to leave the nest ready to soar with Dylan's encouragements. Laid back and chewing on a sliver of straw the band feels no rush nor any reason to disturb the neighbors with silver daggers of guitar lightning. It's a campfire singalong with the Salvation Army band, a group of close knit comrades who have been to war and back and now relive the past and contextualize the future through song. Sixteen reels of tape were filled with the sounds of Woodstock, most of that sound stuck using the adhesive of magnetic tape and thankfully collected, organized and now ready to be discovered again in a new context and with a fresh sonic landscape that only increases its power and grace. While Dylan's contemporaries were painting their guitars, hating parents and melting wax, Dylan and the Band were donning overalls, taking family portraits and reaching into the midst of yesteryear for inspiration and direction. Disc one begins in Dylan's 'red room' at his home in Byrdcliff in the painted artist hills just out of Woodstock. The tentative beginnings drift through stoned recitations of Dylan's multifarious influences. Those familiar with the bootleg snapshots of these recordings will immediately stand back in shock when faced with the improved quality and separation of the instruments. Johnny Cash gets a name check when the group explores their love for his catalog through dusty and funky readings of 'Belshazzar', 'Big River', and a steamy 'Folsom Prison Blues'. 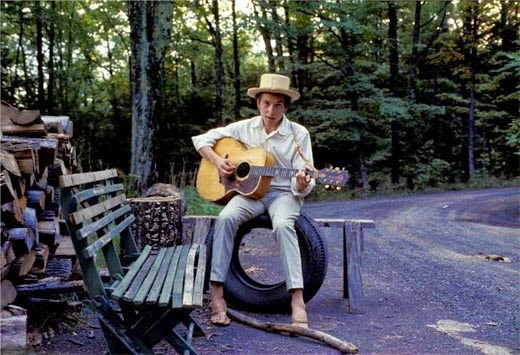 Dylan's metamorphosis from screaming electric prophet to mellowed country troubadour is on full display in the series of wonderful clips captured by 'Spanish Is the Loving Tongue', 'Cool Water' and Po' Lazarus' The sound quality improves over the course of the first two discs, probably due to the fact of the musicians becoming comfortable with their gear and environment. Disc two continues with the exploration of numerous songbooks, though according to the liner notes the proceedings move to 'Big Pink' with the takes of 'I'm a 'Fool For You' that conclude disc 1. Finally, after years of fighting sonic artifacts and residue the true air of the Summer basement can be felt through the existing tapes. Sonically transparent takes of 'Kicking My Dog Around' and 'See You Later Allen Ginsberg' let the band work up their chops as well as let loose with some high times. Songs of note are the bounding cover of Ian an Silvia's 'Song for Canada', a nod by by Dylan to his group and the irresistible Band snap, crackle and pop of 'Baby, Wont You Be My Baby. By disc three of the set a distinct change in the musical seas can be felt as Dylan's new originals start to appear on the tapes and often contain numerous attempts at perfecting an arrangement. Recognized takes from previous releases now appear brand new, crystalline and antiqued wavy glass now offering a perfect view after years of inclement weather and particles are removed to reveal a greater beauty than once thought. Spectral acoustic guitar strums once textural are now acknowledged, while Garth Hudson's hide and seek Lowrey keys become whirling and swirling swells, turning from Sepia portraits to technicolor dreams. The band switches instrumental seats throughout the collection, Manuel often acting a defacto drummer in the absence of Levon Helm who returns to the band in October of 1967. On this box Helm's appearance and return can be noted on the three swinging but differing takes of 'Nothing Was Delivered'. Legendary and poignant Dylan composition 'Sign on the Cross' can also be found on disc four in amazing clarity in addition to a series of feisty an fun performances. The stomping versions of 'Odds and Ends', the stringy 'Clothes Line Saga' and the sweet running nectar of 'Apple Suckling Tree' capture not only amazing performances, but good time expressions by all participants involved. See the swampy pie eyed versions of 'Don't Ya Tell Henry' and 'Bourbon Street' that close the disc for an staggering example of the impromptu Band horn section in action. The sound quality drops slightly for the reveal of 'Wild Wolf'' a long rumored Dylan track which in this reviewers opinion lives up to the question and hype regarding its existence. The twilight melody is shaded with exquisite Danko bass and a perfect Hudson breeze. I still need to absorb all of the lyrics, but I know the song is a weighty slab of Dylan perfectly framed by dramatic instrumentation and foreboding drumming. Followed by 'Goin To Acapulco' this two song series is inspired, amazing and truly stirring. The improved sound on the aforementioned 'Acapulco' is stunning. Not much more can be said, it is representative of the eye bugging nature of the entire set. Also of note is the percussive and stoic cover of Tim Hardin's 'If I Were A Carpenter' featuring Danko and Dylan sharing vocal duties. Classic. The existing tapes and fifth disc conclude with two takes of the slick soul groove of Dylan's 'All You Have To Do Is Dream', a song right up the Hawk's backstreet musical alley. The sixth and final disc of the collection is compiled of tracks that did not quite live up to the sonic standards of the other songs of the set. The surprises and reveals are still there to be enjoyed. The notes offer that they are historically important but questionable in their aural qualities. The culprit on the first five tracks seems to be a severely hot keyboard and/or vocal microphone. 'Hallelujah, I've Just Been Moved' is a celebratory gospel romp with group vocals that really capture the spirit of these special recordings. 'She's On My Mind Again' finds Dylan unable to control his laughter during the lyrics and the piano heavy rendition of 'Goin Down the Road Feeling Band' is slightly strange and oh so enjoyable. Two versions of a possibly alcohol influenced 'Spanish Song' close the collection amidst twinkling pianos, rattling tambourines and slighty demonic whoops and hollers. A fitting reminder to not take the myths and mystery of the Basement Tapes too seriously..... The additional sixth 'bonus' disc of this set is a welcome reminder of what was available previously to us sonically through bootlegs as well as what the true intentions behind the original sessions was. Companionship, music, laughter and discovery. The new Bob Dylan Bootleg Series Volume 11 is a collection that soaks into your skin, a collection of timeless music revealed and reimagined through revolutionary musicianship and recently uncovered sonic surprises. The music retains its freshness and warrants numerous listens to enjoy the clandestine nuance and detail. The instruments are allowed to express their distinct personalities and colorful expressive tones through the uncovered stereo image. Robertson's delicate swells no longer reside under sonic grit, nor do the bountiful rhythms existing in the cracks between piano keys and bass licks. These vital and historic recordings not only increase the mystique of Dylan and the Band but also polish their importance to music while offering a panoramic view of a pivotal moment in rock and in each individual artists' life. I have read dozens of articles this week as I have explored this new dig in the Basement Tapes mine and this is among the best. Thoroughly enjoyed it and the thought provoking ripples that already have me going back and listening to some songs for a third or fourth time. Thank you for the kind words. What an amazing set!